So it looks like Scotland is refusing to send Queen Elisabeth any more money. As reported here, Buckingham Palace is concerned that the Scottish National Party-led government will pull out of an agreement to fund the monarchy. As part of the devolution agreement, Scotland will take control of £216m of Crown Estate property north of the border in April 2016. A refusal to make a contribution to the sovereign grant would be the equivalent of a £2.2m-a-year funding cut for the monarchy. The Guardian reports that the Scottish parliament wants to retain the profits from the crown estate in Scotland for use in Scotland. 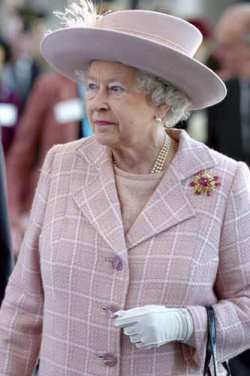 The result: a reduction in the sovereign grant, which funds the monarchy. Not that it’s going to put the Queen in the poor house. According to The Guardian, her commercial property empire, which dates back to the Norman conquest of 1066, has nearly doubled in value over the last decade and is now worth £11.5 billion. This entry was posted on June 25, 2015 at 11:36 am and is filed under Uncategorized. You can follow any responses to this entry through the RSS 2.0 feed. You can leave a response, or trackback from your own site.